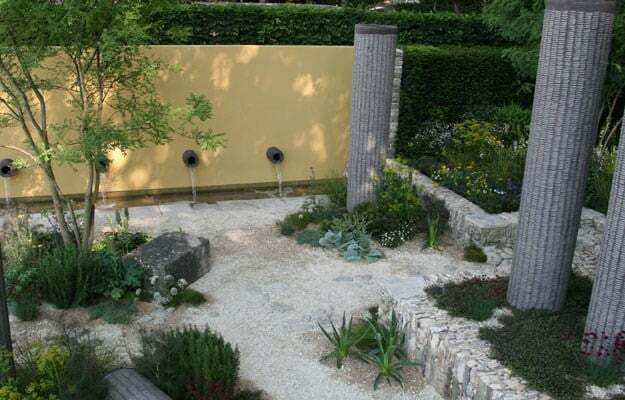 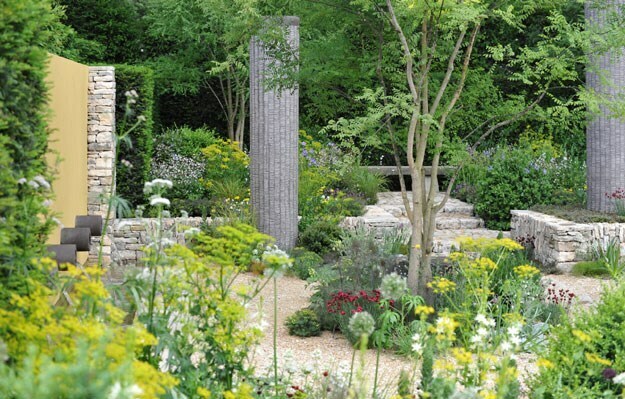 This is Cleve's 8th Garden at Chelsea and is loosely inspired by a trip to Libya he made in 2010. 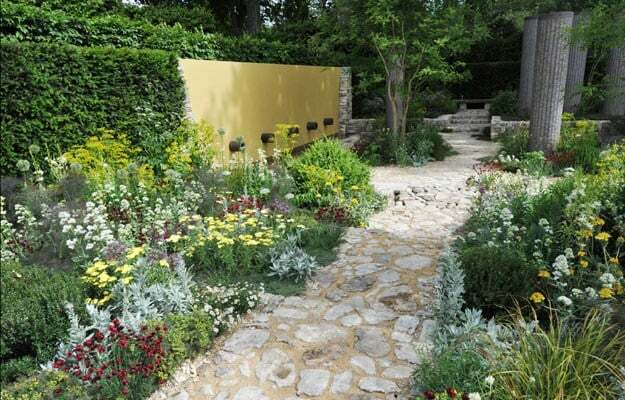 The planting is jewel like - the yellows and deep garnets dazzling against the hard landscaping. 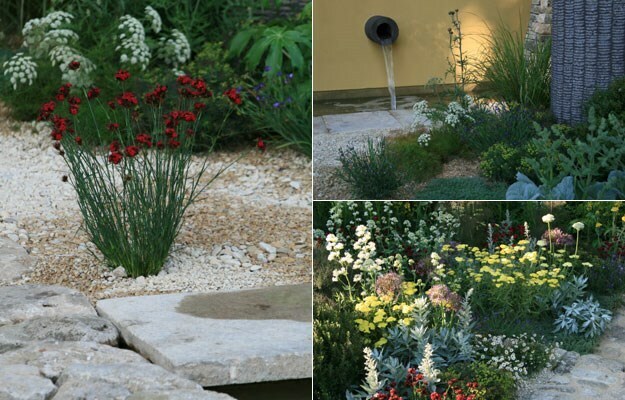 Everywhere you look there is a plant that is special or unusual. 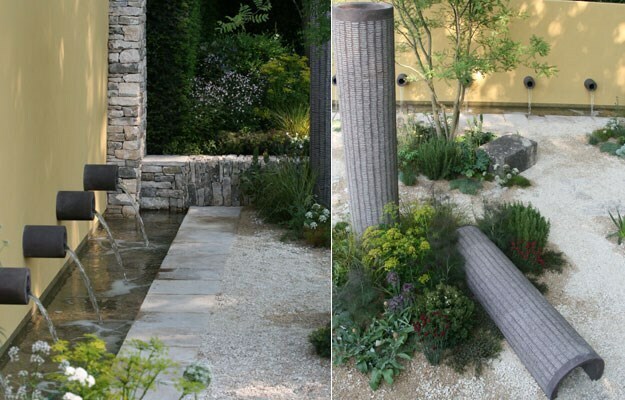 Watch other garden designers scribbling discretely in their Moleskins.